Invited lectures reviewing major achievements not only in the traditional fields of glass science and technology, but also on new glass applications such as optics, photonics, electronics, nanotechnology, coating technology, biotechnology, and composites and sessions organised by Technical Committees to review key aspects of their work. 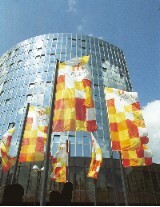 Every three years ICG organises an International Congress on Glass. The XXV CONGRESS (2019) will be in Boston, USA.